Array and diversity of technology options to increase your market share. We have a strong team specialising in mobile application development. Mobile solutions testing approach and backend systems. 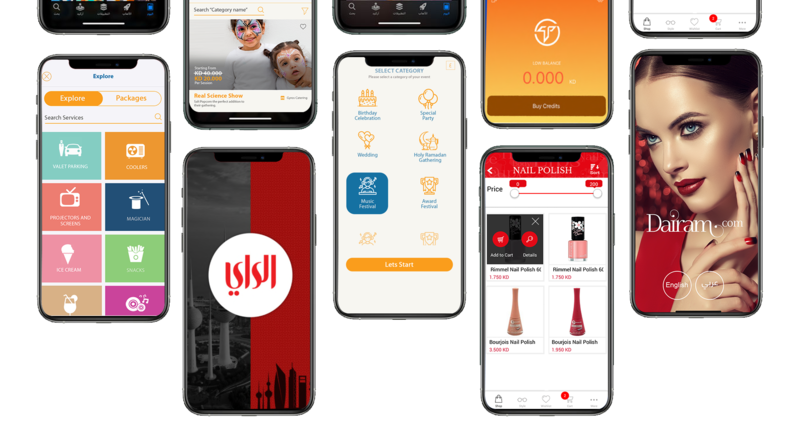 iPhone application developers, designers, and program managers are experts at getting the right balance between client's concepts, iPhone platform standards, user experience and beliefs, as well as technical challenges and possibilities in the project. As a result, a large number of our clients have seen extraordinary success. Besides the concrete experience in iPhone app development, Mawaqaa's Mobility application developers have a detailed comprehension of the Apple platform and the various constituents involved including the iPhone SDK, Cocoa Touch / Objective C, Xcode IDE, Interface Builder, OpenGL ES, Open AL, Core Audio, Core Animation, Core Graphics, WebKit Programming, and Accelerometer. Mawaqaa's Mobility Android application developers have years of know-how in the mobile application development space and are well acquainted with Android Software Development Kit (SDK), OpenGL, 3D graphics, Android Media APIs, Location-based Service APIs, Wi-Fi APIs, Android Security Architecture and other technologies mandatory to build best in class Android apps. Besides, our highly talented designers ensure that we deliver only the best of user interfaces. Our Windows Mobile developers are suitably supported by our graphic designers, Quality Analysts and Project Managers and together as a team, we deliver the best in class Windows Mobile applications.